CLEVELAND CLINIC work on a 'TMA-inhibitor' pill continues. New paper released on Aug 6 2018. Regular readers will know that CLEVELAND CLINIC HEARTLAB published a theory in 2011 that TRIMETHYLAMINE-OXIDE is a main factor in causing CARDIOVASCULAR disease. An obvious therapy would be to block TRIMETHYLAMINE production in the gut. The biggest source of TMA in most humans is likely to be from degradation of Choline and Carnitine in the gut by gut microbes. Cleveland Heartlab looked for a way to stop gut microbes creating TMA, and have been working on this since 2011. Cleveland published a new paper on August 6 2018. New paper says they have now have compounds that fit into a pill that will INHIBIT TMA formation in the gut from Choline/Carnitine by gut microbes ... and the news is it works on MICE. ... now have something that fits in the size of a pill and will completely suppress TMA production. The pill has a number of compounds similar to TMA in structure (analogues). The gut microbes absorb these compounds rather than TMA. In effect 'tricks' the TMA enzymes of the microbe, and fills up that quota ? The bacteria are not killed, it just interferes with the microbes enzymes that cleave TMA from choline. The pill will be an 'OVER THE COUNTER' supplement. The date of marketing is unknown. Could be 2020 or further. There seems to be a patent for the pill taken out circa 2017. It looks to be a combo of DMB and other natural compounds that are similar in structure (analogues) to choline/carnitine. HOW WILL IT AFFECT TMAU people ? If there is no TMA in the gut, there is no TMA to absorb in the blood. So in effect, it may be a 100% therapy for TMAU. It will not improve FMO3 function. Kind of like an alcoholic with no alcohol. As long as they have no alcohol they are 'cured'. Presumably it has no effect on TMA sourced from FISH in the diet. So fish would still be off the menu. For those who feel TMA IS THE ONLY SOURCE of their malodor, it would be in effect a wonderful therapy. A hope is that the pill is on sale on 2020, but this is a guess and it may be a few years more than that. The pill is for the Heart Disease / Stroke market, so it will definitely be made. 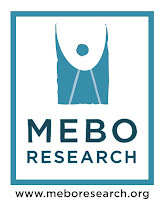 Cleveland Clinic used to supply MEBO with a TMAU urine test from 2011 - 2017, but it sadly had to end.